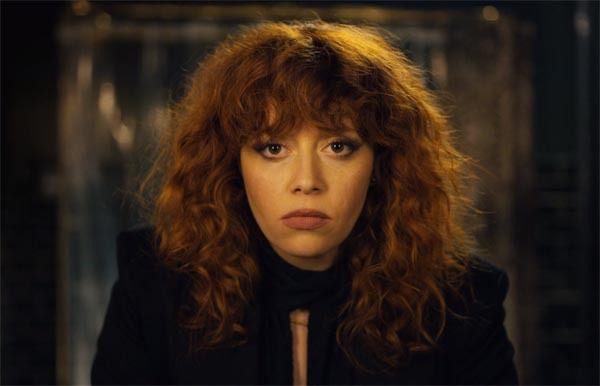 A series launched recently on Netflix has Natasha Lyonne playing Nadia Vulvokov in the series Russian Doll. Not dissimilar in broad concept to Groundhog Day, the central dramatic device is for Nadia to be killed over and over again, each time to restart her life at exactly the same point – in the toilet of her friend's apartment, where a party is in progress celebrating her birthday. The parallel between this and Brexit is obvious, particularly the notion that there are technical fixes that will enable the Irish to avoid a hard border in the event of a no-deal. That zombie idea has died almost as many times as Nadia in the eight-part series but, no sooner dead, it reappears in the toilet of No 10 Downing Street. In its latest iteration, it has taken on the mantle of the "alternative arrangement" that Mrs May so desperately needs to satisfy the ERG and dispense with the Irish backstop which is holding up progress on the withdrawal agreement. It has thus acquired the unlikely sponsor of home secretary Sajid Javid, who yesterday assured Andrew Marr that this was a viable proposition. Months ago, this great sage asked the Border Force to advise him, looking at what alternative arrangements were possible. And, he told Marr, "they've shown me quite clearly you can have no hard border on the island of Ireland and you can use existing technology". Thus, according to our home secretary, "It's perfectly possible". We don't even need magic wands or powdered unicorn horn to sprinkle along the border. "The only thing that's missing", he says, "is a bit of goodwill on the EU side". I must admit, it's a little bit worrying to discover that we have a cretin for a home secretary, but then you just can't get the staff these days. But, while there is no one in his own department who can call him out (and keep their jobs), at least we have the former director general of the UK Border Force (UKBF) prepared to do the honours. This is Tony Smith CBE, who now runs his own border security consultancy. He took to Twitter to explain that the UKBF had an operating mandate agreed with Ministers which set out what checks are made by the UK. Currently, some of those checks are electronic, some are hands-on. UKBF does people and goods checks but not in Ireland. There, due to the Common Travel Area and the Single Market, these are not necessary. And should they arise, he says, "tech" can go a long way, but it "can't fix this alone". "We need to understand", says Smith, "what needs to be checked before we can deploy tech". And that depends upon what the Customs partnership will look like and what regulatory alignment is agreed between the authorities either side of the border. Currently, we have bilateral agreements with neighbours such as the CTA with Ireland and Sangatte/Sandhurst with France. These inform what checks are done, where and how. And what checks can be done by one country on behalf of the other. So, Smith advises us, "the key is in the protocol". And "tech" is then just a tool that follows that. We have good systems in place (as does the EU) for electronic checks, but without some clarity about the regulatory framework on either side it is hard to say how this will work in practice. Bilateral or multilateral agreements can reduce the level of checks needed and "tech" can go a long way. But it needs to be seen as part of a border transformation programme within a regulatory framework, and not a solution in its own right. And that, of course, doesn't take into account the sanitary and phytosanitary checks, to say nothing of product conformity checks in the absence of a Mutual Recognition Agreement on conformity assessment. If there was any doubt still to be had, though, that goodwill could fix it, we had Sabine Weyand enter the fray once more, this time directly to address the issue of whether technology could solve the Irish border problem. Her short answer was: "not in the next few years". In fact, she was being generous. Not ever will "tech" be the answer. It must always be worked in with the regulatory framework and, as long as there is no-deal, there is no framework to work with. Javid, like so many others on this issue, is simply gibbering. Yet, despite that, Mrs May is due in Brussels this week, "Battling for Britain" over the miasma of "alternative arrangements", apparently seeking a compromise solution that will involve the EU conceding that the backstop should have a unilateral withdrawal clause or a built-in end date. Neither of those will be agreed by EU negotiators, so if that is the extent of her mission, she is already doomed to failure. But, it seems, the "ultras" are determined to make it so, with their insistence that the backstop is scrapped entirely and replaced by the aforementioned "tech". Given that the prime minister is already on a path to failure, though, it seems hard to accept The Times narrative that she is being set up to fail by the hardliners. Mrs May is quite capable of failing all by herself without any outside assistance. Nevertheless, we are told that Downing Street is going through the motions, setting up a new working group to explore the possibilities of implementing the so-called "Malthouse compromise", a scheme so mad that I have not even bothered to publish an analysis, in the expectation that it would soon self-destruct. I suppose I should have known better. As with the "WTO option", the madder the scheme and the less likely it is to work, the more likely it is that it will be taken seriously by the politicians and the media. In the working group, we are to see a mix of Brexiteers and Tory remainers, including Nicky Morgan, Steve Baker and Owen Paterson, chaired by the current Brexit secretary, Stephen Barclay. These people will now waste their time pondering over the application of technology to the Irish border, on which basis the "cunning plan" is to get the EU to abandon the withdrawal agreement altogether – with the backstop - allowing an extended transitional period while the details of a new departure agreement are worked out. It does not seem to matter how many times Barnier and other senior EU officials have said that, without the backstop, there will be no withdrawal agreement and, without the withdrawal agreement, there will be no transitional period. This, after all, is a zombie plan, ready for its next appearance in the Downing Street toilet. That almost certainly keeps us on track for a no-deal exit, even if there is now talk of the EU agreeing to a "codicil" to the withdrawal agreement – whatever that actually means. More likely, we are led to expect that pressure will increase for a delay to Brexit, simply to allow us more time to prepare. It is presumed that "the scales will fall from Theresa May's eyes" this week, when she gets the cold shoulder from Brussels and realises that her "Battle for Britain" is over before it even started. Then, she will put her energy into convincing the "colleagues" that they need to give her more scope to organise the self-destruction of the UK. Nevertheless, we can be reassured by Liam Fox. He has recognised that it would not be in the UK's best interest to leave without a deal, admitting it could put the economy "into a position of unnecessary turmoil". Even then, he argues that, "We would be able to deal with that scenario", asserting: "we have got to guard against two things. One is an irrational pessimism that says that everything will be a catastrophe and irrational optimism which says everything will be okay". The truth, says Fox, "lies between the two". This, doubtless, will give us endless comfort as the zombie apocalypse gathers force, and we find the streets littered with the corpses of abandoned Brexit plans - and Nissan motor cars.